Barboursville Moose Lodge 2586 was established in 2001. We are a private, non-denominational organization of people helping people, with a special focus on serving our communities and caring for children and senior citizens. Thank you for visiting the official website of the Barboursville Moose Lodge No. 2586! We hope you find what you are looking for. Please feel free to leave any comments or suggestions that you may have. The Loyal Order of Moose is a private organization. All activities and events referred to on this Website and in the Moose News newsletter are available to members in good standing and their qualified guests only. This Website is for informational purposes with proprietary information intended for members only. General information is available to the public at large, but should not be construed to be a solicitation for membership. This Website is an initiative of the Barboursville Moose Lodge No. 2586, and is not sanctioned by the Loyal Order of Moose, Moose International or any subsidiary thereof. 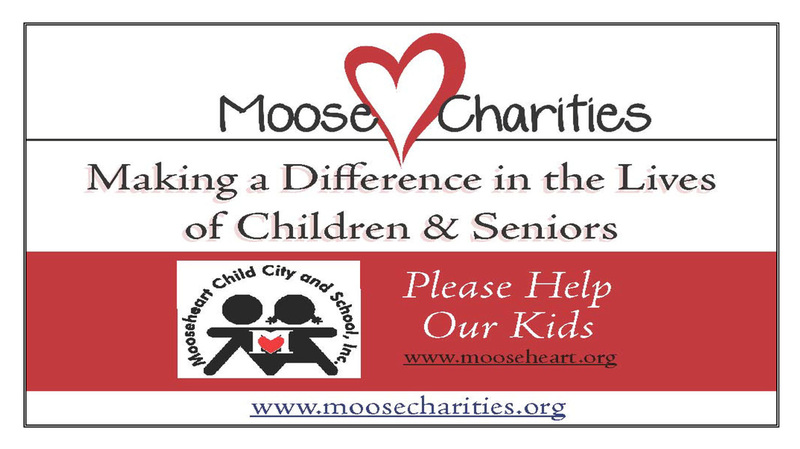 All logos, trademarks and servicemarks pertaining to the Loyal Order of Moose and/or its programs or degrees are copyright © Moose International, Inc., Mooseheart, Illinois.